Booking Note:Please click the departure date and price to book. Current promotion for US$400 off ONLY limited for the first 10 customers. 1） Initial deposit: US$300 pp at the time of booking. Second deposit: US$300 pp is required after 2 weeks. 2） Final Payment: 150 days prior to the trip departure. Fly to Barcelona, Spain from USA. Upon arriving at Barcelona International Airport, you can take the cruise line transfer to get to the cruise terminal in Barcelona. 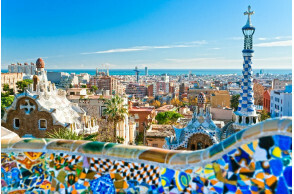 Just a nudge south of the French border in Spain, Barcelona is a central hub for travelers all around the world. Considered to be the "Paris of Spain," Barcelona has earned its name due to its immaculate architecture, rich history, and one-of-a-kind culture. Explore all that Barcelona has in store for you when booking an exceptional cruise excursion tours through Shore Excursions Group. Our Barcelona cruise tours cover nearly every single aspect of the city. Interested in art? Discover the unique worlds of Picasso, Gaudi, and Dali. Admire the influences and works of Spanish Gothic art, in addition to Spanish modern architecture in one of our many art-related excursion tours. We also invite you to journey through Barcelona while tasting some of the world's most exquisite cuisine and wine as we reveal Spain and Barcelona's incredible history. Marvel at all the sights and sounds of Barcelona, and be sure to delight in a visit to Montserrat and the Benedictine monasteries. You can explore the city with excursion packages. Naples provides a perfect concoction for a one-of-a-kind tourist experience. Discover the breathtaking Amalfi Coast, an incredibly popular scenic destination with breathtaking cruise excursions views. Blast into the Ancient Roman past with shore excursions to the legendary volcano Mt. Vesuvius, as well as Pompeii, the town destroyed by Vesuvius's most infamous eruption in 79 AD. The small village of Sorrento is also not to be missed. Visit the Palace of Caserta, a UNESCO World Heritage Site located just outside of Naples. Most excitingly of all, top off your visit to Naples by dining on some of the most exquisite, scrumptious Italian cuisine in the world. Serving as the capital of the Italian province sharing the same name on the northeast corner of the island of Sicily, Messina's rocky past has brought about an interesting environment for travelers to visit. Blending old architecture with modern construction, Messina is undoubtedly an intriguing destination to explore. While exploring Italian island beauty on our Sicily tours, discover the legendary Mount Etna, an active volcano with mythical and historical significance. Sample exquisite wine while leisurely strolling along the grounds of a rich Italian winery, or travel to Taormina and other small surrounding towns that attest to the utter brilliance of Sicily and Italian culture. With some of the oldest freestanding structures left in the world, Malta has deserved to be ranked among the top tourist destinations on the planet. Couple its historical significance with its Southern European charm, and you have one incredible location waiting to be explored. Discover the beauty of Malta in an exciting way with our numerous Jeep tours and boat tours that give you intriguing looks of the island in different way. Travel to two of Malta's most breathtaking and scenic cities, the silent city of Mdina, and Valletta, a UNESCO World Heritage Site, or spend your day with a tour of megalithic temples at Gozo. Learn what makes these places so wonderful on a private tour of the island or off on your own. Shore Excursions offers a variety of options to suit your preference and interest! 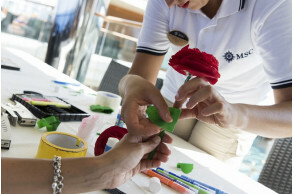 MSC Bellissima will offer a stunning array of features to rival those of her sister ship, MSC Meraviglia. First of all, innovative MSC for Me technology provides an enhanced onboard experience, connecting guests with each other, the crew and the ship itself. Furthermore, guests on board MSC Bellissima will experience the world’s first digital cruise assistant, Zoe, a voice-enabled Artificial Intelligence device fitted in every cabin. In addition, guests will be spoiled for choice with 12 international dining venues and 20 bars to choose. For entertainment, you can enjoy 2 brand new Cirque du Soleil shows designed especially for MSC Bellissima, and relax in the desert themed Water Park - an oasis for kids and families. Disembark the ship and make your own transfer to the hotel. Enjoy your rest of the day in Barcelona. Take your flight to return home. ☆ San Francisco / San Jose Groups: Tour groups may depart from SFO and return to SJC, or depart from SJC and return to SFO. Any of travel products or services that you purchase from UTO vacation contains a contractual agreement between you and UTO vacation and it represents that you have agreed to UTO vacation Terms and Conditions. Please make sure that you read carefully before making any payment. A Non-refundable, non-transferable deposit is required to secure the space. A full payment is required when booking if the package is a special on-sale product. Step 4. Finalize the booking. Balance payment of any regular products or services is due 150 days prior to departure unless specified. If the full payment is not obtained by the due date, UTO vacation reserves the right to cancel such reservation and retain the pre-paid deposit to cover any expenses occurred. A final trip confirmation by email including day by day itinerary, hotel information, and flight information will be sent to the main contact passenger one month before departure. Step 1. Make the reservations.A Non-refundable, non-transferable deposit is required to secure the space. We accept cash, cheque, money order, debit card, credit card, email transfer, TD transfer. 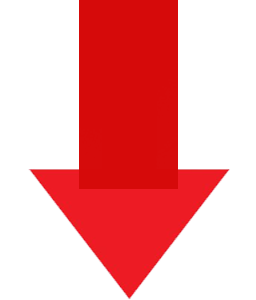 A 4% surcharge is applied to American Express/Discover card. A full payment is required when booking if the package is a special on-sale product. Step 3. Finalize the booking. UTO vacation reserves the right to cancel or modify an excursion tour prior to departure date if the group has less than 20 passengers. An alternative tour maybe offered or a full refund will be returned. All cancellation or change requests must be confirmed in written form by email or fax including your reservation number, full name and date of travel, cancellations will only be accepted in writing. Any cancellation of issued flight tickets would incur a penalty charge of 100% cost of the ticket. No refund is available. Cancellation terms will be applied based on the date that the written cancellation is received and based on the following dates prior to departure. No refund will be available on departure date and/or after the tour has commenced (Including denied and/or rejected by Immigration Department or Custom of destination). No refund or reimbursement will be available on any voluntarily giving up meals, tours and/or accommodations. A surcharge may apply should there be any additional fee occurs from any giving up decision from passengers. i.e. Since air ticket, transportation, accommodation, and meals have to be arranged in advance during high season (i.e.Holidays, Special Events, and other important activities and conventions), no departure date changed is allowed. No refund will be available on departure date changing and/or booking cancellation. Although we would be happy to assist your shopping needs, UTO vacation would not be responsible for price, quality, and service of any goods purchased during the tour. After the booking is confirmed, if the price increased following the imposition of a surcharge on fuel by the carrier or an increase in the exchange rate, insofar as the exchange rate applicable before the date on which the services are provided has increased by more than 5% since the date on which the contract was entered into; and/or if the increase, without taking into account any increase in the provincial sales tax or Canada's goods and services tax, raising taxes, royalties or reauthorized charges by a competent public authority, is equal to or greater than 7% of the price of services, you may choose between a full and immediate reimbursement of the services or the provision of similar services. There could be possibilities that we might have to make alternations for your confirmed arrangements and we reserve the right to alter the order of touring and modify itineraries at any time to ensure the smooth running of your tour. Most alterations will be minor and of little effect on your overall arrangements. We will do our best to notify you of any such minor changes before your departure (Or as soon as possible if you have already departed), we will have no other liability to you. Seating/Cabin assignment: UTO vacation has no power to control the seating selection on the aircraft or cabin location on the cruise. All the spots are arranged by the airline/cruise line group department or randomly selected by the computer system. Therefore, UTO vacation cannot help the customers to change, reserve, pre-assign seats/cabins. Preferred Seat Upgrade: UTO vacation will not be responsible for any preferred seat upgrade on aircraft(except for business or first class seats). Changes to an existing reservation, for whatever the cause, will incur a $50 per person charge plus any additional supplier fees. This includes name changes and removal of any services such as optional tours and transfers. *Please note that name changes to airline reservations are subject to full cancellation or re-booking. See Airline Name Changes section for specific regulations. Replacing a traveling passenger is subject to cancellation penalties, and is not covered by this Reservation Changes policy. Changes or additional requests after departure are subject to local rates at the time of amendment and must be paid directly by the passenger to the service provider. There are no refunds for unused services. UTO vacation strongly recommends all tour members to purchase travel insurance at the time of booking. Each airline company has its own rules and regulations with the baggage weight, size, and number. The best way to find out the rules and regulations is to go visit the airline company official website and type in "Baggage Allowance" under the search bar. 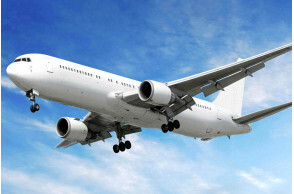 The extra cost of schedule delay caused by Air Flight cancellation will be undertaken by guests themselves. The missed itineraries will not be re-arranged. During the tour, it will be considered as surrendering application automatically if you do not attend the pre-arranged tour or check in the prearranged hotel. All the extra cost will be undertaken by client voluntarily. UTO vacation reserves the right to abandon any clients if such clients violate the law or damage the interest for tour groups. If clients apply for a visa through UTO vacation visa service center, once the visa is denied 90/150 days prior to departure date without any responsibilities on our end, we will return all pre-paid tour fare to clients except for the deposit and visa application fee. If such case occurs within 90/150 days before departure date, we will return a portion or none of the pre-paid tour fare according to the cancellation penalty policy. If a child, 18 years old or younger, is traveling abroad with only one parent/guardian, children MUST carry a notarized consent letter signed by non-accompanying parent/guardian. If a child, 18 years old or younger is traveling alone, children must carry a notarized consent letter signed by both parents/guardian. Such consent letter may be requested by immigration authorities when entering into or leaving from a foreign country or by Canadian officials when re-entering into Canada. Failure of presenting such document may result in rejection of boarding aircraft or vessel for the children concerned. Any cruise line reserve the right to cancel, modify or substitute any scheduled port of calls at any time and for any reason whatsoever without prior notice due to the navigation authority and water conditions and UTO vacation shall not be liable for any loss to guests by reason of such cancellation or substitution. Note: Food Allergy, Bed Request & Etc.